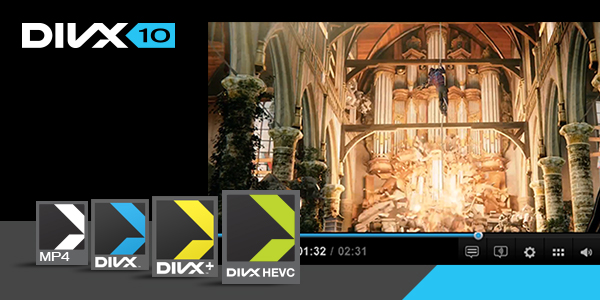 You can purchase the optional DivX Pro for $19.99, which allows conversion of DVD’s to DivX. Following version 10.8.6 we will stop active development for Windows Vista and Mac OSX 10.8. These will be considered 'legacy', along with Windows XP, Mac OSX 10.6, and Mac OSX 10.7. No new functionality will be available for legacy versions, but you can use purchased products as long as you want. Also you can migrate to a newer version using DivX 10 license keys after upgrading your Operating System. To enjoy all the new DivX Software features, please upgrade your Operating System to a supported version. Next story PHOTORECOVERY Professional 5.19.0 – Recover movies, images, and sound files. Previous story iFunia Video Converter 5.5.0 – A Lightning-fast Mac video converter. Annotation Edit 1.9.82 – Editor for working with subtitles, captions, and annotations. Avid Media Composer 8.3.0 – easy-to-use video editing tools.